Why do we worship? We worship to express praise for who God is, to exalt him. We worship to thank him for all he has done for us, with grateful hearts. We worship to draw near to the living God, to spend time in his presence. We worship to experience Heaven on earth. As we draw near to God in worship, there are many subjects that we sing about. One of the most common themes in worship songs is the sacrifice of Jesus and gift of salvation God gave through him. We sing to thank God for this incredible gift, to praise Jesus for his painful sacrifice. We exalt the One who showed us how to live, who never sinned, yet carried the sins of the world. We remember that by his blood, we are reconciled to God, and that nothing “will be able to separate us from the love of God that is in Christ Jesus our Lord.” (Romans 8) We remember that there is hope beyond the grave. “Hosanna” was written and performed by Brooke Fraser Ligertwood of Hillsong Church. It has also been performed by Christy Nockels and is a popular contemporary worship song. The worship song references Jesus’s entry into Jerusalem with the chorus: “Hosanna/Hosanna/Hosanna in the Highest.” (Matthew 21) It also talks about “the King of glory/Coming on the clouds with fire,” which may also allude to other verses in the New Testament. This apocalyptic imagery is found throughout this song of praise. The lyrics also mention the atoning sacrifice of Jesus for our sins. The last verse mentions a generation of believers rising up “with selfless faith” and revival as believers pray and seek the Lord. The lyrics of the bridge are: “Heal my heart and make it clean/Open up my eyes to the things unseen/Show me how to love/Like You have loved me/Break my heart for what breaks Yours/Everything I am/For Your kingdom’s cause/As I walk from earth into eternity.” This worship song is a passionate song of praise to the Lord, declaring his power and love, exalting him. It is also a song of encouragement to believers and a personal plea for God to make us more like him. The song was written by Jennie Lee Riddle and has been performed by Kari Jobe, the band Phillips, Craig, and Dean, the Newsboys, and has been translated into both Spanish and Portuguese languages. 4. "All Hail King Jesus"
The song, “All Hail King Jesus” depicts the crucifixion of Jesus. It references his death on the cross, atonement of sins, the veil being torn, and Jesus’ resurrection in the tomb. The chorus and bridge of the song encourage worshipers to praise Jesus for who he is and what he has done. 5. "What a Beautiful Name"
One of the most recognizable worship songs today, “What a Beautiful Name” is written about “the name of Jesus” and who he is. The song reminds worshipers that he was “the Word at the beginning/One with God the Lord Most High/Your hidden glory in creation/Now revealed in You our Christ.” The song also tells worshipers that his name is powerful and nothing is comparable to the name of Jesus. Some of the lyrics to the song are “Death could not hold You/The veil tore before You/You silence the boast of sin and grave/The heavens are roaring/The praise of Your glory/For You are raised to life again” and “You have no rival/You have no equal/Now and forever God You reign/Yours is the kingdom/Yours is the glory/Yours is the Name above all names.” The song is performed by Brooke Ligertwood of Hillsong Worship and was written by Ligertwood and Ben Fielding. “What a Beautiful Name” won several awards in 2017 and 2018. To watch an intimate acoustic performance of this song, click here. 6. "Jesus Paid it All"
This song is a favorite hymn, passed down throughout the ages. It was originally written in 1865 by a choir member, Elvina Hall, in church. Hall’s pastor combined her words with organist, John Grape’s music. “Jesus Paid it All” was written by Elvina Hall, music by John Grape. A modern arrangement was written by Alex Nifong and is performed by Kristian Stanfill. To read the story behind this hymn, click here. Watch the original version here! Watch the modernized hymn here! 7. "Jesus at the Center"
The song, “Jesus at the Center,” is about how Jesus is the at the center of everything. It’s a song praising Jesus for this and also asking him to be the center in the lives of us, as believers and at the center of the Church. “My Victory” was written by David Crowder, Hank Bentley, Ed Cash, and Darren Mulligan. It is performed by Crowder/Passion and We Are Messengers. “Resurrection Power” is a worship song by Chris Tomlin about the power we, as believers, have through Jesus Christ. Jesus calls us out of our old way of life, living towards destruction, and gives us new life, redeeming us, and resurrecting us. He gives us power, “resurrection power,” that lives inside of us. The chorus reminds believers of the freedom that Jesus has given us. This song was written by Ryan Ellis, Ed Cash, and Tony Brown, and performed by Chris Tomlin. The bridge says, “There’s an army rising up/To break every chain.” In Isaiah 58, we read, “Is not this the kind of fasting I have chosen: to loose the chains of injustice and untie the cords of the yoke, to set the oppressed free and break every yoke?” This song talks about believers rising up to break the chains of others around them, to lead people to the gospel, setting them free. “Break Every Chain” was written by Will Reagan and has been performed by Tasha Cobbs, the United Pursuit Band and Jesus Culture, among others. This Christian worship song has incredible imagery and poetic lyrics. It talks about seeing the Lord’s glory and beauty in a sunrise, of seeing his power through the stars and planets alight in the night sky. The song’s repeating chorus is a response to beholding the beauty of creation: “You’re Beautiful.” The second verse talks about the crucifixion and sacrifice of Jesus for our sins. It reminds believers that “soon we will be coming home.” Then. the bridge is a picture of Heaven, referencing Revelation 21:4, that“‘He will wipe every tear from their eyes. There will be no more death’ or mourning or crying or pain, for the old order of things has passed away.” It also references the wedding of the Lamb in Revelation 19. “You’re Beautiful” is performed and composed by Christian artist, Phil Wickham. 12. "Let it Be Jesus"
This very personal worship song is about living out one’s faith. Galatians 2:20 says, “I have been crucified with Christ and I no longer live, but Christ lives in me. The life I now live in the body, I live by faith in the Son of God, who loved me and gave himself for me.” It’s the desire for our entire lives to be about Jesus. It’s encouragement to testify about Jesus throughout our lives. The first verse says, “Let it be Jesus/The first name that I call/Let it be Jesus/My song inside the storm/I’ll never need another.” The song’s chorus references the verse, “For to me, to live is Christ and to die is gain.” (Philippians 1:21) The theme is found throughout the song. The powerful bridge is a proclamation of faith, that no matter what may happen, whether good or bad, to remember and proclaim the name of Jesus. “Let it Be Jesus” was written by Jonas Myrin, Matt Redman, and Chris Tomlin. It is performed by Christy Nockels. 13. "Light of the World"
This song is more of a Christmas song, about the people waiting for the birth of the Messiah. It also connects to us today, as people around us need the hope that Christ break to break through their present circumstances. Lauren Daigle, the singer of the song, says, “As the writing process progressed, I was thinking about the 400 years between the Old and New Testaments in the Bible, when God was silent for 400 years. There was stillness in the world, people were searching. I wonder how that longing was for people living then. To be honest, it kind of reminds me of today and the longing in people. As I think about those many years of silence, I think of the cry of a baby. We put these stories in a parallel position in the lyrics, connecting to our music and hoping for an ultimate connection with people, through God." “Light of the World” was written by Lauren Daigle, Paul Mabury, and Paul Duncan. It is performed by Lauren Daigle. This song is told from the perspective of Lazarus, when he was resurrected from the dead by Jesus. It is written in a way that is relatable to us, as Christians, singing the worship song. The bridge reminds us that God still works miracles and he turns our fears into faith. “You Came (Lazarus)” was written by Melissa and Jonathan David Helser, along with Ed Cash, and performed by the Helsers and Amanda Cook and Chris Quilala of Bethel Music. This powerful worship song is about the blood of Jesus and the atoning work of the cross. It’s about the resurrection and the promise of his coming back. It’s also about how Jesus cares for us and helps us. This song also describes the power of Jesus’ blood and how it also cleanses us. This song is performed and written by Rita Springer. To watch the song story behind “This Blood,” click here. This song is about Jesus’ love in his atoning sacrifice for us on the cross. The chorus speaks about how extravagant this love is and how we’re unable to comprehend it on this side of Heaven. The second verse talks of how Jesus walks with us through our pain and struggling, that he’s our light. The bridge is a response to that love. The song was written by Steffany Gretzinger, Amanda Cook, Sean Feucht, Ran Jackson. It is performed by Steffany Gretzinger and Amanda Cook. There is also a Spanish version by Twice. This song is about the passion of Jesus and the salvation found through him. It describes his crucifixion, the image of Jesus nailed to the cross, thorns upon his head, “The innocent Savior broken and bleeding for us.” It mentions it as “a place of sorrow and love” and talks about the mercy of the Lord in this sacrifice and Jesus’ atoning blood. The rest of the song is an invitation for people to come to Jesus, to find hope, love, and salvation in him, that he will wash away their sins: “The lost and unworthy come find your home/The broken and hurting, His love will never let go.” The bridge is praise for Jesus’ love and the eternal hope of seeing him in Heaven. “Son of God” was written by Cory Asbury, Caleb Culver, Jon Egan, Brian Johnson, and Jason Ingram. It is performed by Cory Asbury. “In Christ Alone” was written by Keith Getty and Stuart Townend. It is performed by many Christian artists, including Keith and Kristyn Getty, Stuart Townend, Natalie Grant, Lauren Daigle, Newsboys, and Kristian Stanfill. To watch a cover of this song by Anthem Lights, click here. 19. 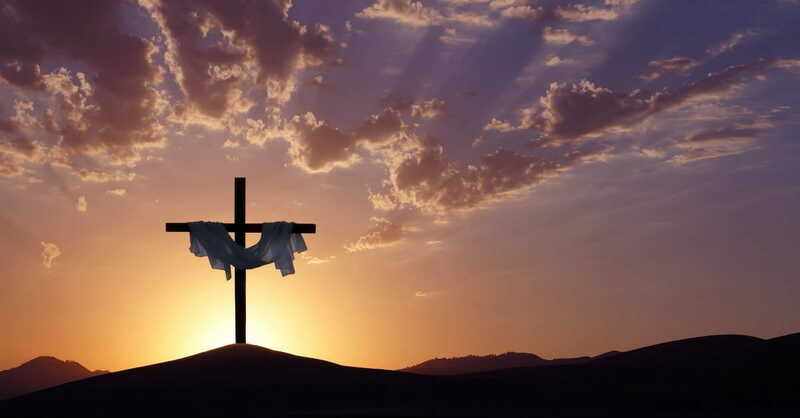 "The Old Rugged Cross Made the Difference"
This is a song of praise about a life changed by Jesus Christ. The lyrics of the song speak of an aimless, desperate life before Christ and how Jesus made the difference, giving life and bringing “love, warmth, and laughter.” The last verse of the song depicts the life of someone who died without hope, his loved ones left in gloom. It also depicts the life of a believer and how much joy that his loved ones had when he passed. “His funeral was overflowing with not just people, but stories of the impact he’d made,” Diana Matthews writes, referencing the story behind the song. “The Old Rugged Cross Made the Difference” was written by Gloria and Bill Gaither and has been performed by the Gaither Vocal Band. “Cornerstone” was written by Edward Mote, Eric Liljero, Jonas Myrin, and Reuben Morgan. It is performed by Hillsong Worship. NEXT: What Happens When We Sing in Worship?